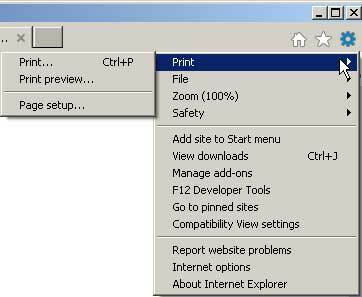 Often, background printing in your browser is turned off by default. If you are printing a page with a colored background, you most likely just want to print the text and any pictures, not the colored background. 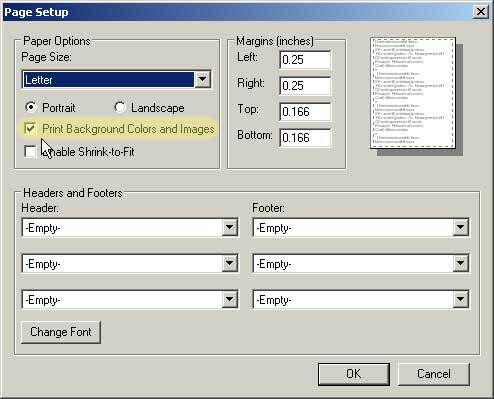 But to print a picture of your pattern with a grid superimposed on it, you have to turn on background printing because the picture is in the background! 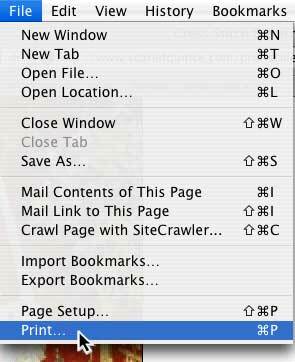 Here's how to do it in various browsers. 1. Go to the menu bar and click on File. 3. The page setup dialog box appears. 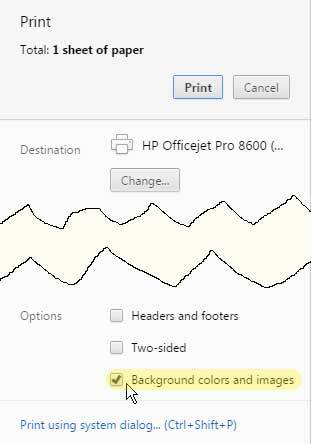 Look for Print Background (colors and images) and make sure that the box next to it is checked. Then click OK.
1. Click on the Tools icon in the upper right corner. 2. The Tools menu pops up. 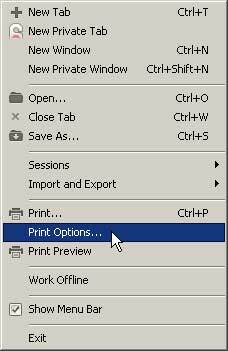 Move the cursor over Print, and the Print menu appears. 3. 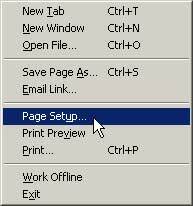 Click Page setup... on the Print menu. 4. The page setup dialog box appears. 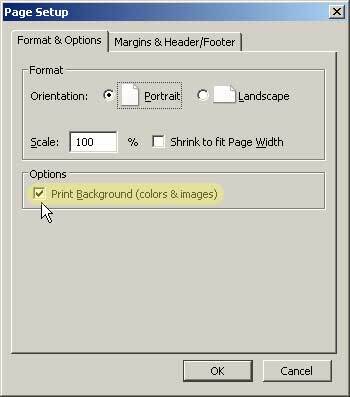 Look for Print Background Colors and Images and make sure that the box next to it is checked. Then click OK.
3. The Print dialog pops up. 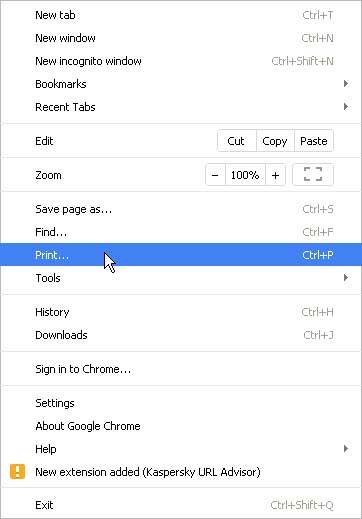 Click the print options menu. 4. A list of options drops down. Choose Safari. 5. The Safari options are shown. Make sure Print backgrounds is checked. 3. 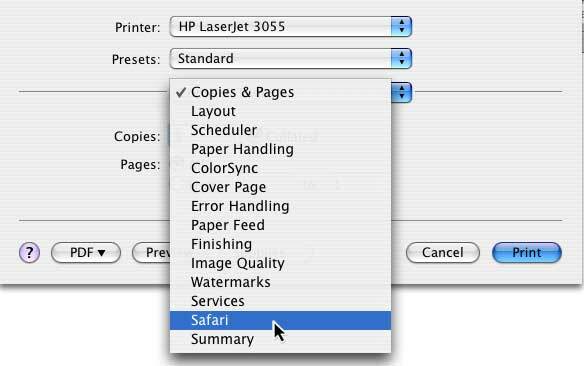 The print options dialog box appears. 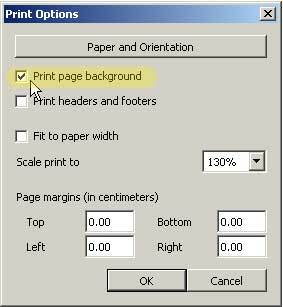 Look for Print page background and make sure that the box next to it is checked. Then click OK.
3. The print menu appears next to a preview of what will be printed. Look for Background colors and images (at the bottom of the menu) and make sure that the box next to it is checked.